As German-Russian craftsmen who left their homes in Russia to migrate to America and become farmers, the Schilling family and its history are integral to the passion for tile installation craftsmanship that Luke Schilling brings to Everitt and Schilling Tile. Aaron Everitt has roots in the lumber business as far back as the Oklahoma land rush and now manages the family’s development and homebuilding company. 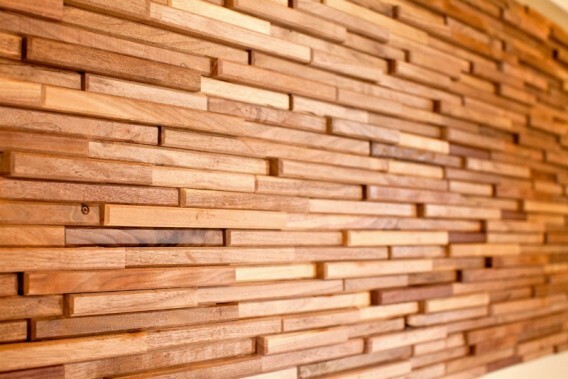 Luke and Aaron have joined forces to create a unique and sustainable wall covering from repurposed and reclaimed wood. 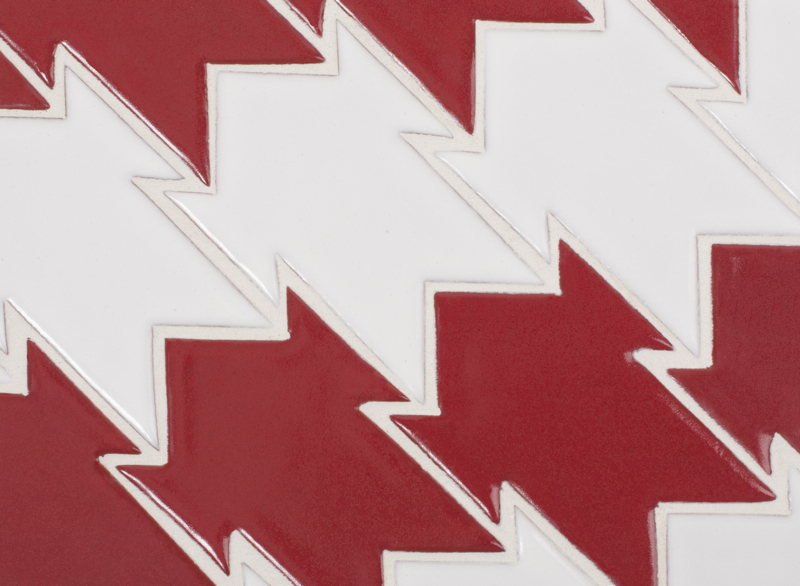 California-based Fireclay Tile today announced a new collaboration with designer Kelly LaPlante to create a line of eco-friendly tile. The Runway Collection has four custom patterns inspired by fashion: Cravat, an interpretation of houndstooth, Chaine Femme, a nod to interlocking chains in jewelry and belts, Chaine Homme, a masculine version of Chaine Femme, and Corset, which is inspired by corsets and lace-ups on footwear. 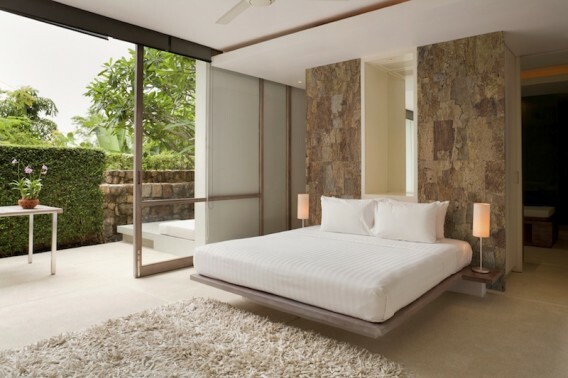 Cali Bamboo offers indestructible bamboo floors and bamboo decking, as well as a new cork wall panel under a new company brand referred to as GreenClaimed — a reference to a material that’s been reimagined, revived, or recovered and then transformed into something new. In this case, the new Designer Cork Tiles are panels made with the bark of cork oak trees. You’ve seen tile that looks like a wood plank, and here’s a similar kind of variation on a theme: wood in the shape of a brick. 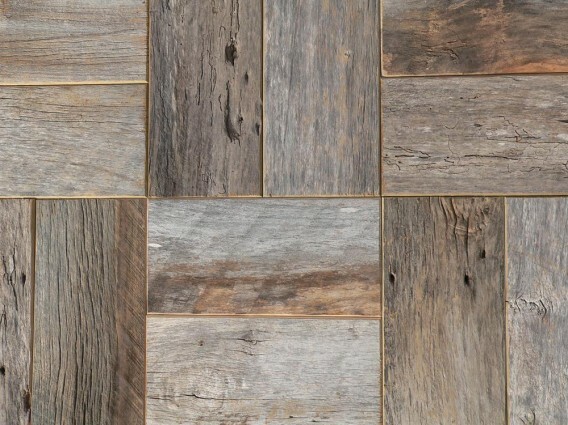 Barnwood Bricks is a patented line of hardwood flooring and cladding products made from reclaimed wood in Tennessee. The bricks install kind of like tile with a special glue or grouting system, depending on the installation location. 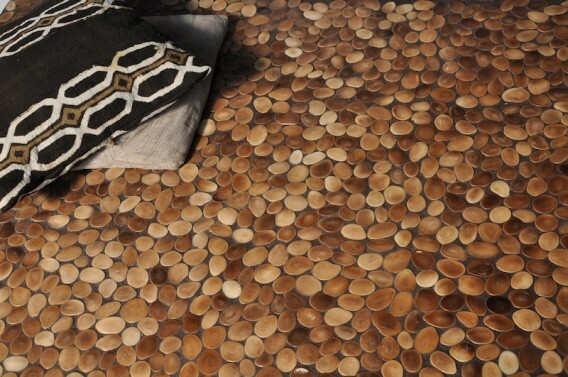 Italy-based Benetti Stone Philosophy makes a beautiful mosaic surface called Ivory Dream, which is made from vegetable ivory. In this case, the vegetable ivory — which was used to make buttons before plastic became popular — comes from the seed of an Amazon palm tree called Tagua. The seed is hand-harvested without causing any damage and is then cut and supplied for use as a floor, covering, or other surface mosaic. You’ve probably seen bamboo tile, but have you seen some of the handcrafted wood tile from Colorado-based Everitt & Schilling Company. They offer a Trail Mix series (pictured above) that is made from the scraps — alder, poplar, oak, walnut, hickory — of cabinet and door makers. 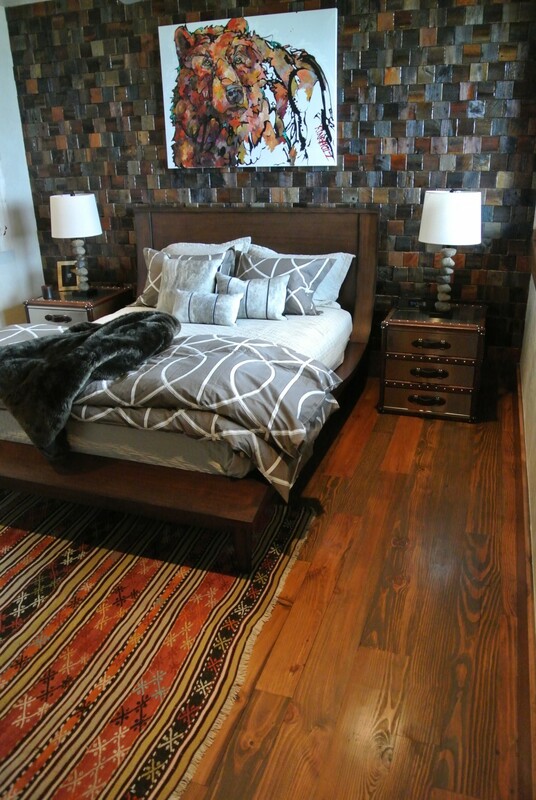 E&S also has a few country-luxe lines made with reclaimed barnwood and finished with water based, low VOC finishes. Re-Claimed Barnwood tiles come in 2×2, 4×4, 2×8, and 4×8 with various configurations. Pricing varies and can be provided upon request, though I understand it starts at around $24 per square foot.